The first thing you need to consider when thinking of purchasing a caravan is what your car can actually tow. This will help you in your selection without wasting time looking at caravans that are too heavy for your car; many cars have towing restrictions LESS than the kerb weight of the car. Our trained staff are on hand to assist you by simply entering your car year make and model into the ‘Towsafe’ computer programme which will tell you exactly what your car can and cannot tow. We can then check this information against the caravan that you are interested in. Decide on the layout YOU like. 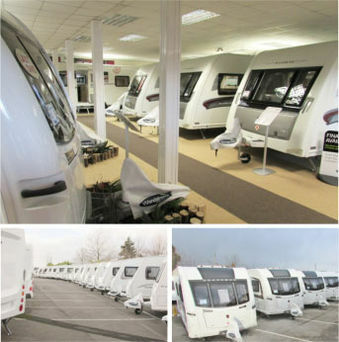 You will find, as you look around, that there are a limited number of layouts available within any range of caravan and this applies to all manufacturers, however you will occasionally find a 'unique' layout. At Wandahome we put the emphasis on the word YOU because often families and couples visit our site with friends who are already caravanners and, while they can give invaluable advice, they often influence the buyer to purchase a caravan similar to their own. At the end of the day you must choose a layout that suits YOUR needs, and these are not necessarily always the same. There are a certain number of bare essentials you will need i.e. gas bottles, battery, clean and waste water containers. We will advise you on exactly what you need. 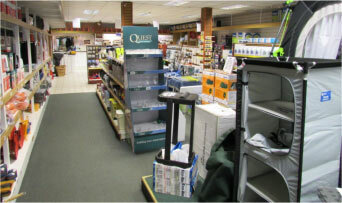 Please don’t hesitate to ask our friendly sales staff should you wish for advice on what to buy, or simply if you are needing guidance to a particular item. How do I operate my new caravan? When you purchase a caravan from Wandahome we arrange a day and time for you to collect. On collection our specialist despatch manager will give in-depth instruction on the operation of the caravan and all appliances. He will also advise you on loading the caravan to give optimum stability. Do I buy from a dealer or privately? Is there evidence of damp? 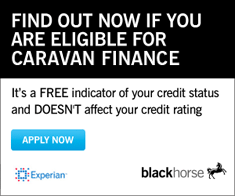 Is the caravan subject to any financial agreements? When purchasing a caravan from Wandahome you can have peace of mind; when they come in to stock, all caravans are checked for any outstanding finance, the year of manufacture is confirmed and all caravans are serviced and valeted prior to despatch. Why not visit us at Wandahome (Knottingley) and browse our extensive range of caravans with help and guidance on hand should you need it.